April 13, 2018 By HHSA / Posted in 2018. 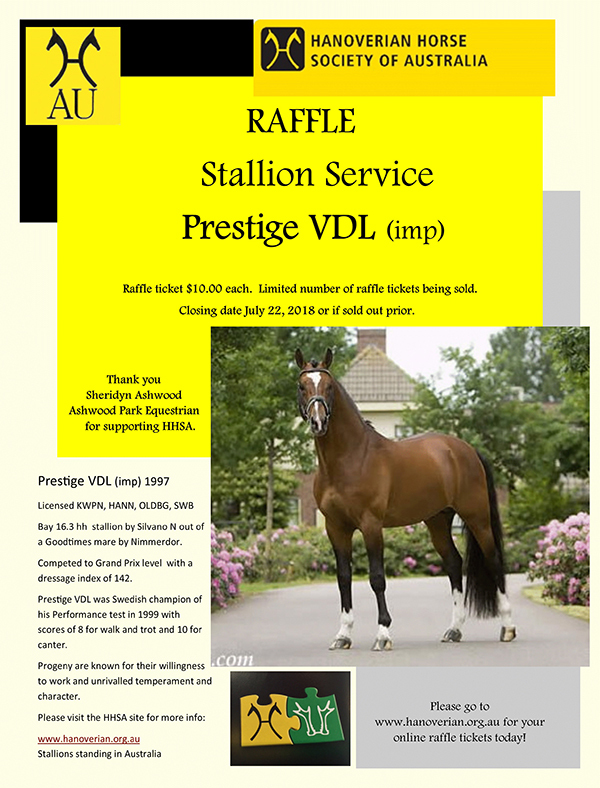 The HHSA are pleased to be partnering with Sheridyn Ashwood from Ashwood Park Equestrian who has kindly donated a service to her imported stallion Prestige VDL. Tickets are $10.00 each and the raffle will be drawn on the Sunday 22nd July after the Brisbane CDI and the Carl Hester masterclass. The only way to purchase your tickets is through our online portal using the purchase form.